This might be a new neighbourhood bar but we go way back with this place. This is the site of our old bottling hall. It’s gone from bottle maker to boilermaker. Pairing whiskey with beer and making cocktails is what these guys now do so well. Enjoy your sip back in time. 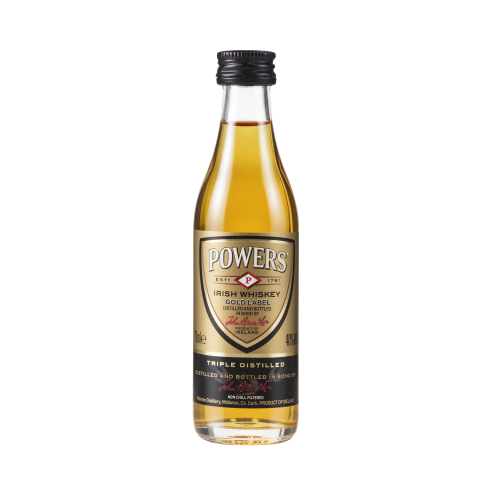 A tip of the hat to the Baby Power’s, this drink combines 50ml of Gold Label, spiced Caribbean rum, Maraschino cherry syrup, and a healthy dash of Grapefruit bitters. This is then served with the remaining 21ml on the side for you to POWER’S UP as you see fit. This is where the first miniature spirit bottle in the world was invented in 1889. Christened the ‘Baby Power’, it was a small yet great feat of innovation. A great example of the POWERS pioneering spirit. This new super premium expression bears the hallmark spicy flavours that are typical of the Powers whiskeys, with black pepper, honey, vanilla and berries in abundance. 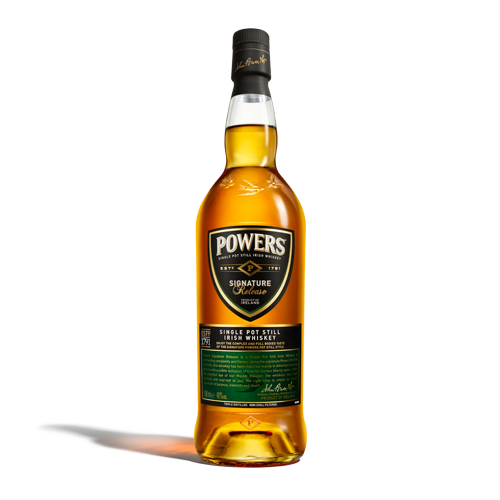 Using the signature Powers Single Pot Still distillate, it has been matured mainly in American bourbon barrels with the subtle inclusion of whiskey, matured in Spanish Oloroso sherry casks.